Inevitably, as we come to publish our ‘al fresco dining in Brighton guide’, there’s been a little drizzle (apocalyptic rain) across the South East lately. 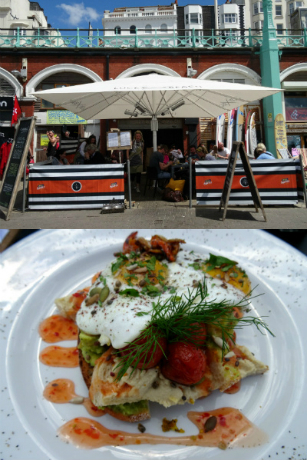 Nevertheless, aware that we all need to be prepared to grab a jacket and head outside the minute the Sun starts to shine again, here are five of Brighton’s best spots for eating outside this Summer. Parents have long been fans of the Garden Cafe at St Ann’s Well Gardens, providing a reasonably priced cup of squash and sandwiches for little ones who have tired themselves out exploring the niches of the park. 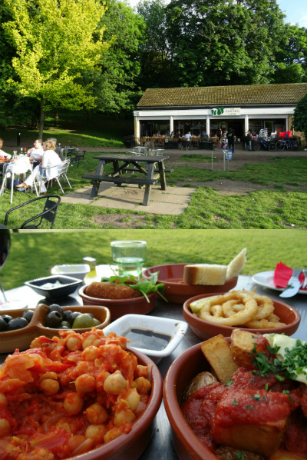 It’s a great spot for a sunny lunchtime, but every Friday evening throughout summer it also hosts a tapas night, when the pink light of dusk, candles and live music transform the cafe into a rather elegant dining spot. The tapas menu offers classics like meatballs, patatas bravas and tortilla, and although the cooking is perhaps more homely than one or two of the fancier Spanish restaurants in town, the setting is more lovely than any of them. 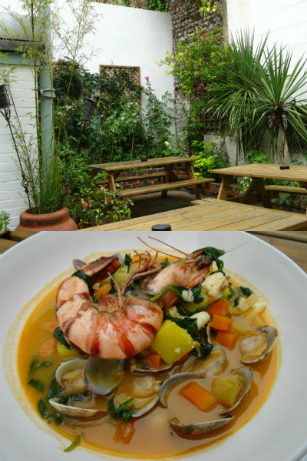 Tucked away at the quiet end of Kemptown, this gastropub/bistro has a sweet courtyard garden at the back with a veg patch, tropical palms and fairy lights. The surroundings are informal and friendly but for a special occasion the food is on the right side of fancy, with a marvellous wine and beer list to complement. The bar serves sharing plates like whitebait, and the a la carte menu offers more upmarket fare, such as 21-day-aged steak, creamy broad bean risotto with fresh herbs and pecorino, or fish stew served with crisp, salt-sprinkled toast and thick garlic rouillle, all prepared to a great standard. Dessert lovers should save room for a chocolate brownie with peanut brittle or a Sussex cheeseboard if possible. 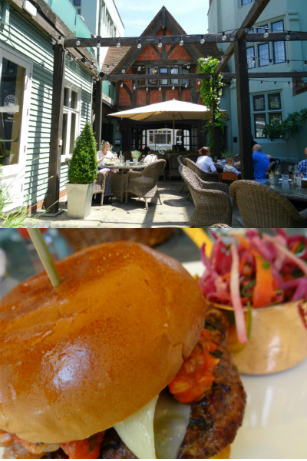 Having recently launched their seasonal al fresco menu, the Bistro at Hotel du Vin Brighton is capitalising on the fact that it’s home to one of the most lovely courtyard spaces in town, in the centre of the jumble of 17th-century buildings that make up the Lanes hotel. Here diners sit under a vine-draped pergola on comfy wicker furniture. 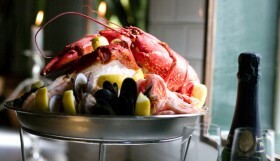 The summer menu features lighter recreations of brasserie classics like steak frites and chargrilled chicken salad. Desserts, such as Eaton mess with tropical fruits and rhubarb fool with ginger biscuits, wouldn’t be out of place at any British garden party. As well as the special Pinot wine selection, the seasonal drinks menu includes gin or Pimms-based cocktails, pepped up for summer with tropical fruits, berries and cucumber. Street Thai is expansive enough to accommodate larger parties, and the bright lighting and colourful murals lend it a slight East Asian food hall vibe, which is no bad thing considering the style of cuisine on offer. 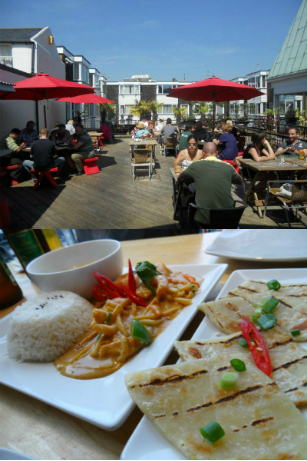 It also has a large roof terrace overlooking Brighton Square, where diners can enjoy people-watching whilst picking at Thai street snacks of deep-fried salt and pepper squid or green papaya salad. 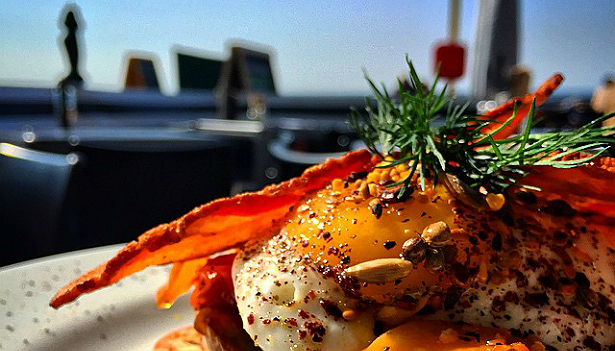 The food is modern Thai, albeit toned down slightly for Western palates. Typical dishes include thick, sweet Masaman curry with peanut, mopped up with flaky roti bread, or stir-fry with red curry spices and holy basil, served with sticky coconut rice. Street Thai also has a fantastic dessert selection, which includes a surprisingly fresh green tea cheesecake. 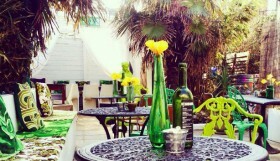 Fancy an al fresco tipple? 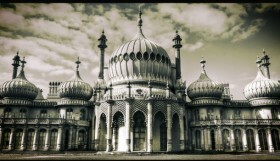 How about Brighton’s best beer gardens? 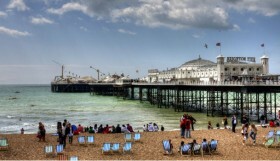 Looking for things to do on Brighton beach? Check out our guide, full of great ideas!